A Brief History of the Apthorp in Bolinas Edgar F. Glotz, Ph.D. The Apthorp in Bolinas is an apartment building that stands above the intersection of Brighton and Cliff Avenues in Bolinas, California, overlooking both the Pacific Ocean and the Bolinas Lagoon. It was constructed in the 1960s for William McKinley Martin, a wealthy resident of Bolinas. It is modeled after the original Apthorp apartment building, located on the Upper West Side of Manhattan in New York City. The origin, design, and management of the Apthorp in Bolinas make it an informative study for those interested in cultural history. William McK. Martin was born in New York City in 1925 and spent his formative years living in the Manhattan Apthorp. His family was forced to move out in 1939 because his father, Jeremiah Martin, sustained heavy losses during the Depression. The elder Martin relocated his family to California, where he became financially successful once again. When Jeremiah Martin died in 1960, William inherited the family fortune. In an interview with this researcher in 2002, William Martin spoke with enthusiasm and affection about his early years in the Manhattan Apthorp. These fond memories motivated him to use a portion of his ample fortune to create a smaller replica of his childhood home in Bolinas, California. He called his new apartment building the Apthorp in Bolinas. Construction on the Apthorp in Bolinas began in 1964, and it was completed in 1966. William Martin moved in four days after completion, becoming the first resident. He lived there for the rest of his life and died peacefully while sleeping in his beloved Apthorp apartment on the night of January 23, 2003. Upon William Martin’s death, the Apthorp in Bolinas passed though inheritance to Adele Hunter Freeman, his niece. The Manhattan Apthorp was designed by the architectural firm of Clinton & Russell for William Waldorf Astor. It opened in 1908 and occupies the entire New York City block bounded by Broadway and West End Avenues and 78th and 79th Streets. It was named for a mid-nineteenth century lawyer, Charles Ward Apthorp, who previously owned and lived on the property. The Manhattan Apthorp is a twelve-story limestone-fronted building that offers grand living spaces to New York City’s wealthy citizens. It has a courtyard measuring 95 by 134 feet, with angled corners providing access to the apartments. Barrel-vaulted entries grace both ends of the courtyard, giving a view from Broadway to West End Avenue, although today doormen deny entry to casual passers-by. The Manhattan Apthorp is constructed in the High Renaissance style of Florence's Pitti Palace. Its lively facade incorporates beautiful sculptural elements at both the street level and the top of the building. 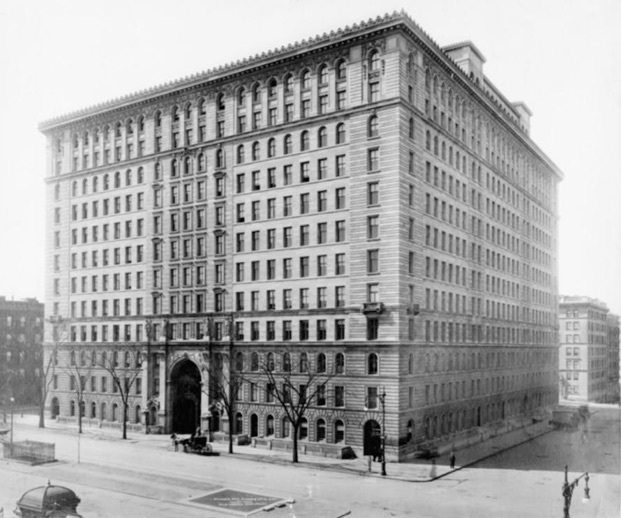 William Martin was determined to replicate the appearance of the Manhattan Apthorp in his new building. For example, he had limestone for the exterior walls shipped from Indiana, and he paid skilled craftsmen to labor for two years replicating the intricate sculptural features of the facade. The interior courtyard of the Apthorp in Bolinas bears a very close likeness to that of the Manhattan Apthorp, allowing light and air to reach the windows of the apartments. It differs in being smaller and having a single entrance. 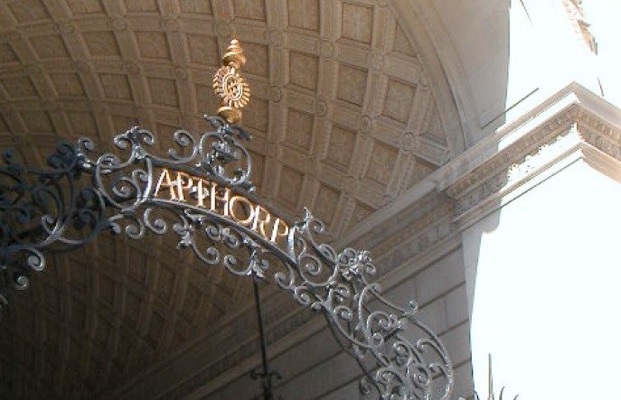 The Manhattan Apthorp entrance is framed with garlands and reclining goddesses and spanned by a delicate wrought-iron gate, with the Apthorp name highlighted in filigree. The Apthorp in Bolinas features a smaller version of this very elaborate and lovely iron gate. The gate is painted frequently to protect it from the humidity and salt air of Bolinas. As a result, it functions perfectly to this day, protecting residents from unwanted intruders. There are important differences between the two buildings. First is the matter of scale. The arched entrance of the Apthorp in Bolinas is slightly over one story in height, whereas the Manhattan Apthorp entrance is three stories tall. The flanking pilasters of the Apthorp in Bolinas, topped with sculptural figures and bas-reliefs of draped females holding up garlands, have of course been correspondingly reduced in size. 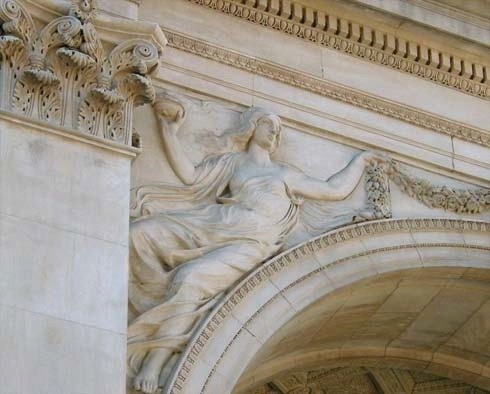 Elsewhere on the Manhattan Apthorp’s façade are putti, which this researcher regards as a singular mark of a tasteful building. 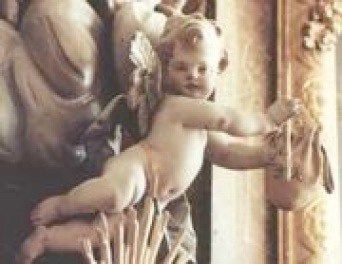 Unfortunately, William Martin bowed to the bourgeois California sensibility of his architect, Peter M. Preston, resulting in omission of the putti from the new building. The constraints of the modern world prevented inclusion of such Manhattan Apthorp amenities as mosaic-tiled foyers, glass-paneled French doors, Wedgwood-like friezes, and carved marble fireplaces in the apartments of the new building. However, anyone who has been fortunate enough to visit knows the Apthorp in Bolinas apartments are extraordinarily fine. Wood-paneled walls, decorative moldings, and built-in window seats are among the architectural touches the residents enjoy. 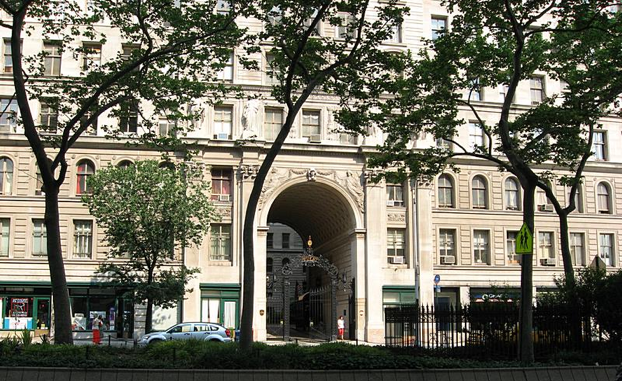 One hundred four families lived in the Manhattan Apthorp in the years after it opened, when it was the largest building of its kind in the world. In contrast, the Apthorp in Bolinas has only six apartments, although each commands sweeping views of either the Pacific Ocean or the Bolinas Lagoon. An interesting feature of the Apthorp in Bolinas is the inclusion of common areas, which are available to all residents. 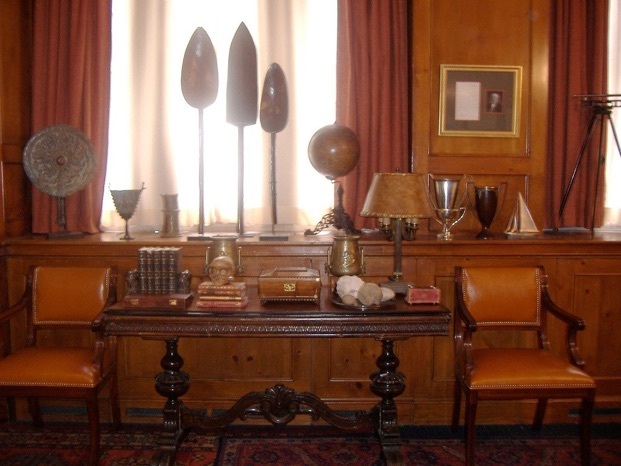 These gathering places, which originally contained furniture and decorations from William Martin’s personal collection, include a library, kitchen, and dining room. 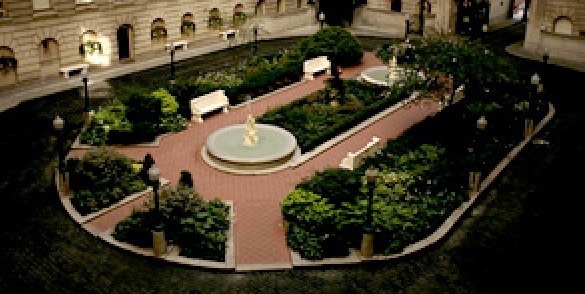 William Martin asked his architect to design these common areas because of his treasured recollections of being a young child running free in the hallways and courtyard of the original building. He was a favorite of many of the residents and was constantly in and out of their elaborate apartments. As a result, he felt part of a larger community. To recapture that communal feeling, he chose the unusual approach of including common areas in his new building. Many famous and talented people have lived in the Apthorp in Bolinas. Although written records from the past were lost in the aftermath of the Loma Prieta earthquake in 1989, William Martin told this researcher that Richard Brautigan, Anne Lamont, Paul Kantner and Grace Slick, and Alice Waters, among others, resided at the Apthorp during their time in Bolinas. 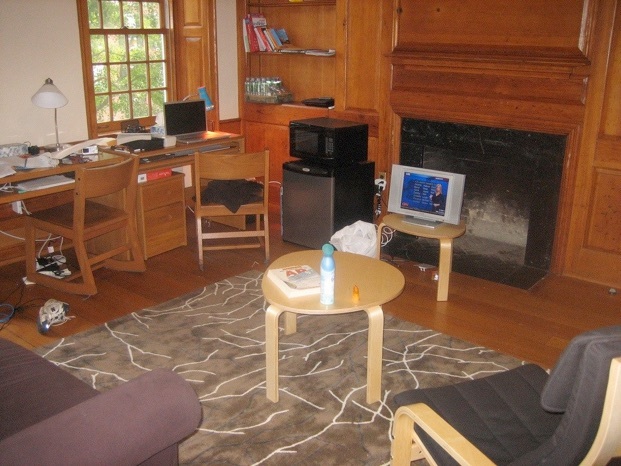 Today students from the Coastal College of California live in the Apthorp in Bolinas. Students could not normally afford such luxurious accommodations, but the current owner, Adele Hunter Freeman, has seen fit to hold rents at a level sufficient only to cover property taxes and building maintenance. As a result, lodging at the Apthorp is within reach of student budgets, and when an apartment becomes available, there is fierce competition for it. Ms. Freeman has continued and expanded an interesting practice of William Martin, that of giving the residents a voice in certain decisions. Since Ms. Freeman lives in the building — in William Martin’s former apartment — the current student residents have ample opportunity to contribute to decision-making. For example, they are consulted on and must approve any applicant for an apartment, prior to acceptance. The Apthorp in Bolinas offers many features of interest to modern cultural history. It is an unusual residence in an unusual setting in the unusual town of Bolinas, California. It is safe to say that no building like it exists anywhere in the world. Edgar F. Glotz, Ph. D., holds the William McK. Martin chair as Distinguished Professor of Cultural History at the Coastal College of California, in Bolinas, California.